L-Tron would like to extend congratulations to the 2018 Digital Rochester GREAT award winners! 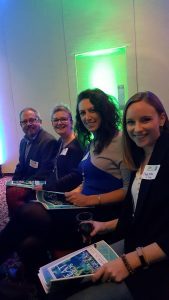 Wednesday evening, L-Tron had the opportunity to attend the 2018 Digital Rochester GREAT awards. 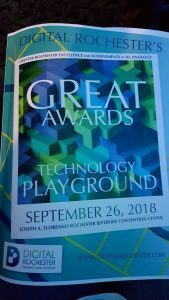 The ‘GREAT’ in GREAT awards stands for ‘Greater Rochester Excellence and Achievement in Technology’ awards. 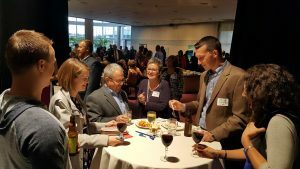 This year’s theme – technology playground– brought together innovative Rochester tech companies for an evening of fun, learning, and interacting with technology. The L-Tron Corporation was honored to be named a finalist in the ‘Best Tech Workplace’ category – which was new to the GREAT awards this year. L-Tron was honored to be a finalist for this year’s GREAT awards. A small (but mighty) tech company, L-Tron prides itself on being a forward thinking company, encouraging all of its staff to be individual leaders, and to educate first (both internally and externally to our customers). L-Tron culture is collaborative, transparent and inclusive. From the first time an employee sets foot in the door, they are given a voice and their opinions are heard. L-Tron’s company culture is what has allowed the company to continue to grow year over year. By supporting our staff, employees are invested in their jobs, the company, and one another. L-Tron is also able to determine the best ideas and make data-driven decisions by hearing each employee’s voice. L-Tron’s newest solution, OSCR360, was built directly from the voice of Law Enforcement. This software solution, created originally for crime scene investigators, involved collaboration from District Attorneys, Law Enforcement Officers, Crime Scene Investigators, photographers and the L-Tron team. The OSCR software is never done. L-Tron continues to push new versions and improvements based upon L-Tron team and customer feedback. This would not be possible without everyone’s combined efforts. Several members of the L-Tron team attended the GREAT awards dinner including company partners RAD & Gayle, Trevor and his wife Libbie, Elyse and her fiance Corey, and Juli. The team enjoyed food & drinks at the Joseph A. Floreano Riverside Convention Center. The theme, technology playground, was pulled together by various vendors. Attendees of the awards dinner were able to walk a virtual reality plank, and get the blueprints for 3D models of themselves. The Jack Foundation was also present, an organization that raises funds to build safe and educational dinosaur-themed playgrounds for children throughout Rochester. The awards ceremony itself was emceed by local news personality, Ginny Ryan. Click here to view the complete list of 2018 Digital Rochester GREAT award finalists and winners.